Short answer: they don’t have to be. Behold the Very Large Telescope array at the Paranal observatory, which is decidedly un-domey. The dome shape is just a convenient one that happens to get used a lot. Long answer: The dome superstructure exists to protect the telescope from the elements. Observatory telescopes contain incredibly sensitive optics, but they also tend to be build in rather remote, inhospitable places (the middle of the desert, on top of a mountain, on top of a mountain in the middle of the desert etc.) which can suffer somewhat inclement weather from time to time. Some kind of superstructure is necessary if you actually want your telescope to survive. However, the superstructure also has to be built in such a way that it allows the telescope to rotate through a full 360 degrees and to elevate to an altitude of up to 90 degrees from the horizontal in order to observe as much of the sky as possible, while also retaining the ability to open and close and protect the telescope when it is not in use. Now, obviously you don’t have to use a dome to achieve all this, but unless your observatory has some sort of special purpose that requires other factors to be taken into consideration a dome-shaped superstructure is rather attractive because it’s the most lightweight one that will do the job. The heavier your dome is the more difficult it is to shift it round to look at different points in the night sky, and so a dome shape was very popular before we mechanised the whole shebang. These days it’s more a matter of tradition than anything else; there’s no real reason to use domes any more, but there’s no real reason not to either, and observatories are now inextricably linked with the dome shape in the public psyche. 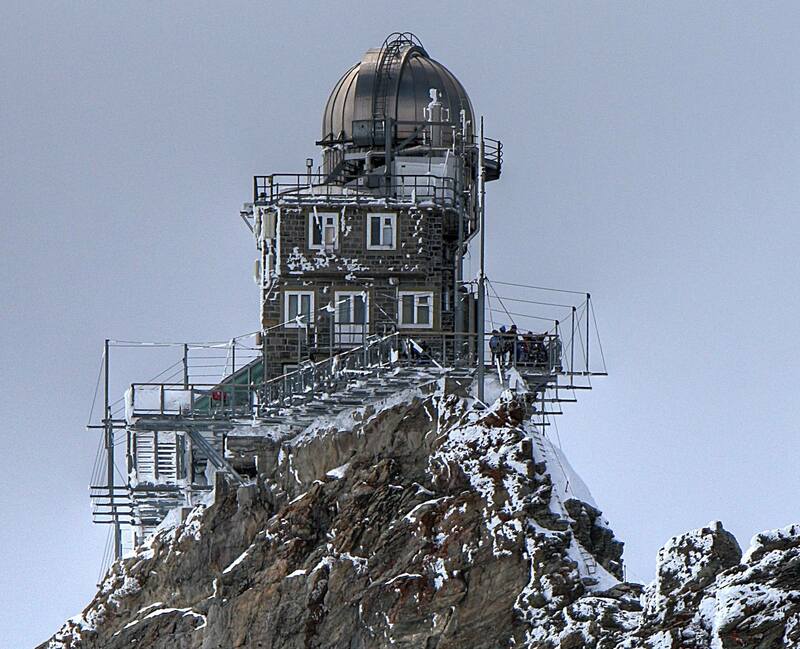 PR is more important to large-scale scientific endeavours than you might think, which is why having an observatory that looks just like people think it should do is quite handy. And of course for low-budget observatories where cost and weight are still an issue the dome shape is still the best available: easy to source, easy to install, easy to use. How is there a moon we hadn’t noticed yet? How do we expect to find habitable extrasolar planets if we can’t even lock down our own back yard? Just how much thumb-sucking goes on in astrophysics anyway? This is where I start wishing I’d figured out a way to write that post on the Kuiper Belt that didn’t make me sound like a lunatic. Well, more of a lunatic, anyway. Right, first off, calling this thing a moon is a little bit generous and the only reason we’re doing so is because we lack the proper astronomical terminology to draw distinctions between the Hubble Space Telescope and the actual Moon. According to the technical definition they’re both moons of Earth, even though there’s a fairly considerable size difference between the two. This new moon they’ve found around Pluto is “between 10 and 25 km in diameter” which is tiny when compared to the vast majority of solar system moons and more directly comparable to Phobos and Deimos, the two asteroid-like moons which were captured by Martian gravity at some point in the distant past. Considering this thing is about 27 times further away than those are – as well as likely having roughly the same reflectivity as a piece of road asphalt – I’m amazed the Hubble picked it up at all. Second, if you’ll recall my post on exoplanets, the vast majority of exoplanets aren’t found by direct observation but rather through techniques involving indirect measurements of the parent star such as radial velocity and the star’s light curve. Why didn’t we use those techniques to pick this new moon up? It’s really small, meaning any gravitational force it exerts on Pluto will also be really small, and Pluto is now part of a five-body system to boot which will ensure any gravitational tugs it does manage to exert will be lost in the noise created by the other three moons, which are much larger. The two situations aren’t remotely comparable. Third, don’t expect things to stop there. Extensive computer modelling and laboratory experiments (if you really want references on this ask in the comments and I will, after some grumbling, go and track down the relevant papers) has shown that Pluto and the other objects within the Kuiper belt are subject to something called collisional evolution. What this means is that the Kuiper belt could be densely populated enough that collisions between Kuiper belt objects are relatively common occurances, and so depending on how fast the impacting body is going a collision will either result in the two bodies “sticking” together and agglomerating into a single new body, or else blasting both bodies apart into a collection of smaller objects. That Pluto has so many “moons” bound into what appear to be stable orbits with it indicates that it was a victim of the latter as it’s highly unlikely it would be able to capture all of these things so neatly on its own. At some point in Pluto’s past, then, it was probably struck by something that blasted off a chunk of Pluto’s mass. Some of it probably escaped. Some of it probably fell back onto Pluto. And some of it formed the moons we see today. 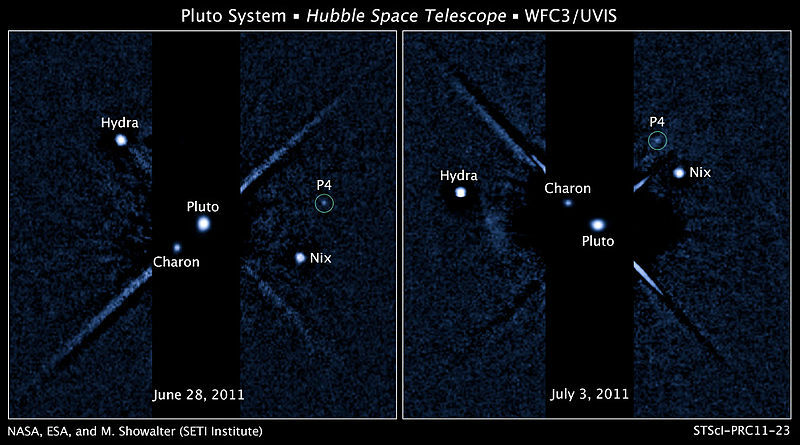 It wouldn’t surprise me if, when the New Horizons probe gets there in 2015, it manages to find a couple more moons like this one orbiting Pluto. As far as I’m concerned this further cements Pluto’s position as something separate from a planet or a moon; it’s in a class of its own, and “dwarf planet” is a hilariously inadequate term for describing what that class is. That very much make sense. Yes. Also, much like you, I’d love to live in that observatory at the top of the post. Nobody knows what the hell it is. Some things just don’t fit in a neat little box, you know? Then we shall make a better box! With blackjack and hookers. I know. I just like saying it – it makes me feel all sciencey. You try it – Pluto Is Not A Planet! It still unsettles me a bit when I teach a class of schoolchildren who have been taught from day one that Pluto Is Not A Planet. In theory they have a better grasp of that idea than I do. Stop hating on Pluto. The many moons situation is interesting, it’s almost like a “comet swarm” or disintegrated comet, but moon-ish size.